HFA Jr Ticats Fall Pre-Season Picnic: SAVE THE DATE! Updated Tuesday July 3, 2018 by Hamilton Football Association. We hope you enjoyed your families over the Canada Day long weekend! Quick reminder for you to SAVE THE DATE! 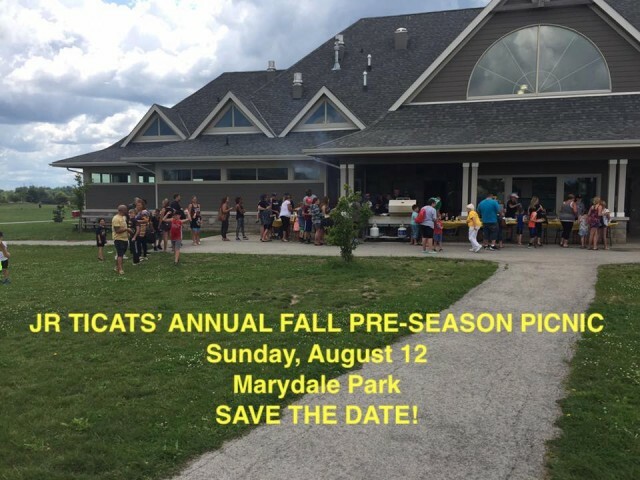 Our Annual Jr Ticat Fall Pre-Season Picnic is on Sunday, August 12th at Camp Marydale Park in Mount Hope. Our the coming weeks you will receive an email with a link to "Perfect Potluck". It will outline the items and help needed to make the day a success. As in usual years, we will have use of the entire Camp Marydale facility which includes: hiking trails, canoeing, use of swimming pool and archery. It will be a full day packed with fun! We are also looking for volunteers (high school volunteers looking for hours are also welcome!). Please email jrticats@gmail.com if you have a son or daughter interested.